It’s the winter season! We know it’s always warm here, if you are travelling to somewhere cold this holiday season, check out this comfy blanket sweatshirt from The Comfy! The Original Comfy is a cozy blanket sweater that combines the warmth of a blanket and the ease and comfort of a sweater. 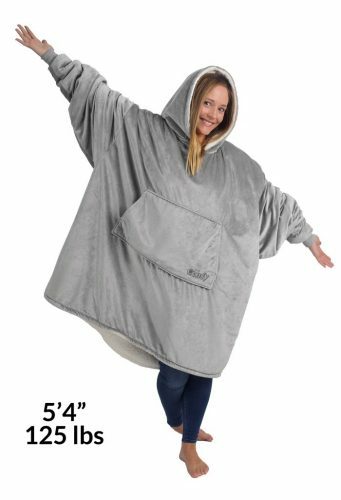 It’s a one size for all fit ranging from a small child to a fully grown 280-lb. 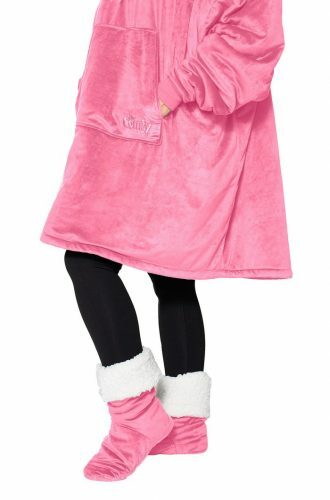 The blanket sweater comes in an assortment of gray, blue, pink, black, red, teal, burgundy, cream, and purple. To keep your feet extra warm and away from the brittle air, you can also get a pair of Comfy Feet from The Comfy and they are 25% off now! They ship out from US, so get your purchase shipped back via Buyandship, so that you don’t have to pay a hefty sum for international shipping fee.